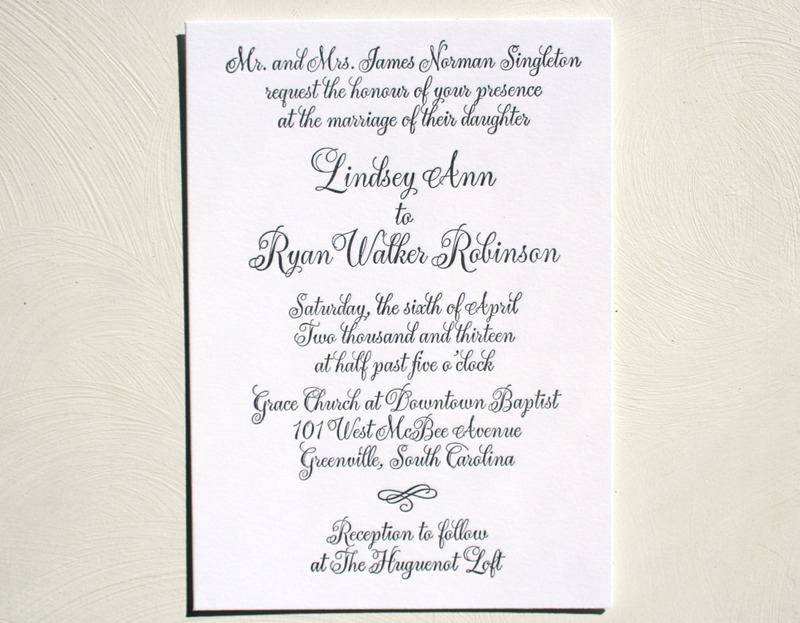 Here is a new wedding invitation I recently designed and printed as a custom order for a local customer in Greenville, South Carolina. This design features a beautiful calligraphy font, and is printed in simple and classic black on thick white 100% cotton papers. 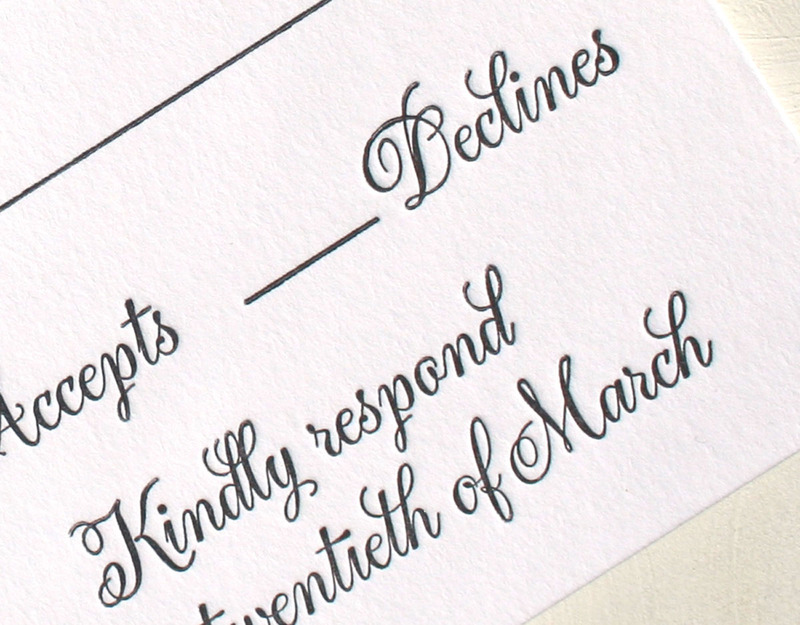 The lettering sinks into the paper beautifully. You can check out more details for ordering this invitation in my Sofia Invitations and Prints Etsy shop here. 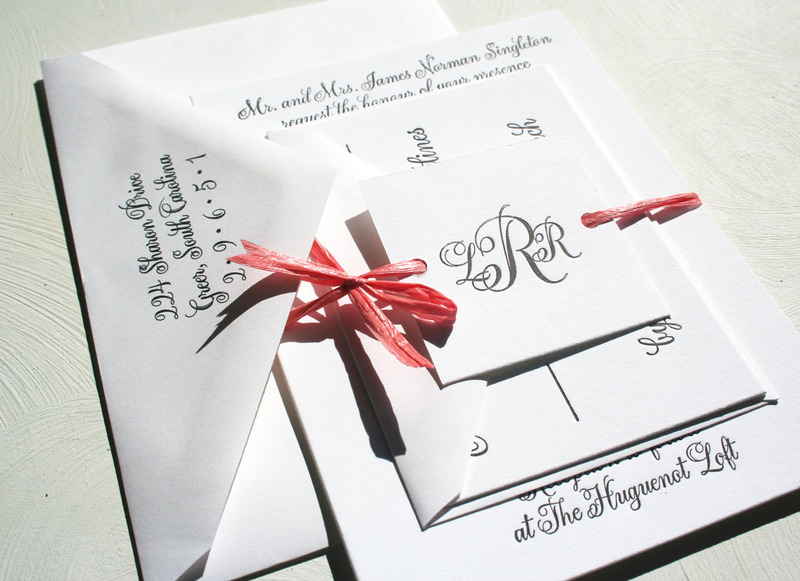 ← Get 10% off Letterpress Business Cards for all of February!